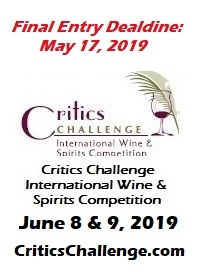 It was in the early years of the Monterey Wine Competition and I remember roaming the judges’ room checking on each panel. The table with the merlots caught my eye. This was back in the day when one panel of judges assessed an entire category of wine. Each of the three judges at the merlot table had set aside one glass of wine. They didn’t know what it was, for there were no identifying marks other than a computer code on a label affixed to each glass. What they did know was that it was a brilliant wine, so much so that they had decided to use it as their benchmark to evaluate all of the other merlots to follow. The mystery merlot made it through two rounds of judging and eventually popped up in the finals, which we called the sweepstakes, where it lost to the Joseph Phelps Insignia in the vote for best-of-show red wine. The prize merlot was the Beringer Vineyards Bancroft Ranch Howell Mountain Merlot, arguably the finest merlot made in the great winegrowing state of California. This was a time when Beringer was a force on the wine competition circuit, prior to its purchase by the Australian beer company, Foster’s. Beringer and its sister wineries – Chateau St. Jean, St. Clement, Souverain and Meridian – entered every wine they made in all of the big wine competitions. It was good for the Beringer clan, for they won more than their share of medals, and it kept everyone else on their toes, because to triumph at a major wine competition a rival usually had to climb over a bunch of really, really good Beringer wines to get to the top. Under Foster’s Beringer has backed off of the wine competitions – odd considering wine competitions are part of the heart and soul of the Aussie wine culture – to a large extent, mostly entering its mass-produced commercial wines. Those wines have done well, but not well enough to keep Beringer at the top of the wine competition game. So I was pleasantly surprised when I saw the Beringer entry for the debut Sommelier Challenge, a new wine competition that exclusively uses professional sommeliers as judges. The iconic Napa Valley winery entered but two wines, the 2005 Beringer Private Reserve Cabernet Sauvignon ($115) and the 2007 Beringer Private Reserve Chardonnay ($35). Those are the big guns, Beringer’s flagship red and flagship white, both of which have been Wine Spectator Wine of the Year in previous vintages. Anything can happen in a blind tasting, so Beringer’s decision to only enter its best wines took great courage. On the other hand, if you’ve got it, why not flaunt it? In recognition of this outstanding achievement, as Director I have chosen Beringer Vineyards the 2009 Sommelier Challenge Winery of the Year. Brokenwood – Took gold with two of my favorite wines, its 2006 Graveyard Shiraz and 2008 Semillon, along with three silvers. It was a fine showing by this outstanding property in Australia’s Hunter Valley. Chateau Laroque – The 2005 Saint-Emilion Grand Cru beat out some heavyweight Napa and Sonoma cabernets and Bordeaux neighbor Chateau Lascombes (2006) to earn Best of Show red wine. Clayhouse – A Paso Robles platinum double with its 2006 Petite Sirah and 2006 Syrah, at $25 and $15, respectively. Domaine Carneros – Five medals total, including a platinum and two golds. Eberle Winery – A whopping 12 medals, including four golds. Fanucchi Vineyards – Its Trousseau Gris and Old Vine Wood Road Zin scored platinum, a great feat for a small Sonoma County winery. Flora Springs Winery – Much as Beringer did, Flora Springs entered its two most decorated wines, the red meritage Trilogy and the 100 percent sauvignon blanc, Soliloquy and came away with a platinum and gold, respectively. Freemark Abbey – Entered two great single-vineyard cabs, Bosche and Sycamore, and took platinum and gold for its efforts. Gloria Ferrer – This formidable Sonoma County sparkling wine and pinot noir specialist racked up 13 medals, including a platinum and three golds. J. Lohr – Claimed eight medals, one platinum and four golds. La Crema – Won three medals and all of them were gold! Pacific Rim Winemakers – Its 2008 Dry Riesling was voted Wine of the Year by the Somms, and overall the winery won seven medals, one platinum and two golds. 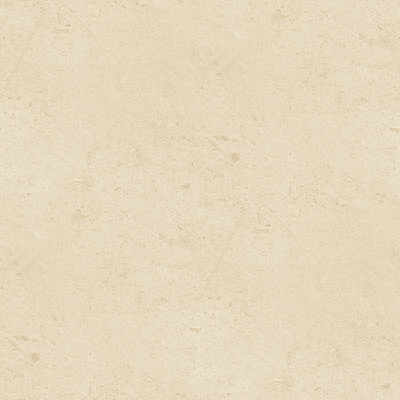 Plantagenet – Western Australia was heard from with two platinums and two golds. Tandem – A platinum and three golds. Ventana Vineyards – This is perhaps the most medaled winery in the United States this year. Ventana swept 11 medals here, including one platinum and seven golds. 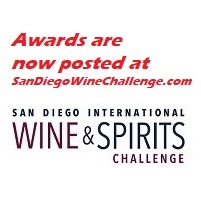 Click here for complete Sommelier Challenge results.